Other names: Davidson’s plum, do-rog. Ooray is a fruit from Australia. It is native to the northern tropical rain forests of Queensland. Ooray trees bear a wondrous purple fruit with vivid red flesh. The fruits are juicy and are used as a base material for wine. Fruits of two other species of Davidsonia viz. Davidsonia jerseyana and Davidsonia johnsonii, which grow in temperate regions are also called Davidson’s plum. Ooray is an important fruit in the modern bushfood industry of Australia. Its trees are planted in gardens as specimen trees or for landscaping. 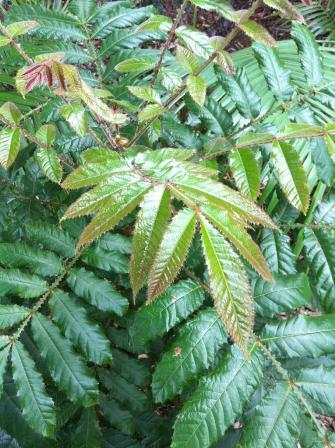 A large shrub to narrow rainforest tree, 1-6 m tall. Leaves compound, upto 30 cm long, leaflet blades about 6-28 x 3-10 cm, +/, sessile, margins irregular with both large and small teeth intermingled; stipules persistent, large and conspicuous, cordate to orbicular, margins toothed. 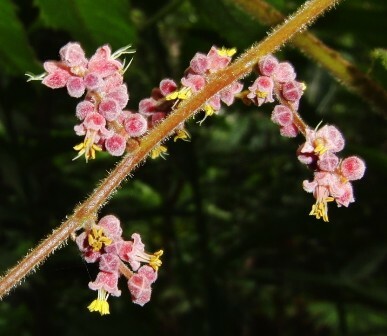 Flowers about 3-5 mm wide, stamens alternating with an equal number of glandular nectarines; ovary densely clothed in erect hairs; ovules about 5-7 in each locule. Fruits about 3-5 x 4-6 cm, containing one or two flat pyrenes with fimbriate or lacinate margins; pyrenes often assumed to be seeds, but careful dissection of a pyrene will usually reveal a solitary seed. Ooray fruits are juicy and have a favour resembling that of plums. As it tastes sour, so it is not eaten out of hand. However, it is widely used to make jam and wine. The attractive colour of ooray flesh makes it attractive as an additive. It is used to provide colouring and flavouring in sauces, ice creams and drinks. 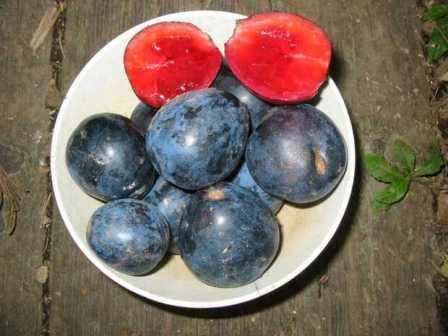 The fruit has dark red flesh with a sour plum flavour. It is unpleasantly acid when raw. The fruit flesh’s colour makes it attractive as an additive. It is used to make jam and wine, and to provide colouring and flavouring in sauces, ice creams and drinks. Some, however, there are also some reports that ooray fruits contain hydrogen cyanide and therefore should be used with caution. Excessive consumption might result in vomiting and epighastric pain. The varieties found in North Queensland are different from those found in Southern Queensland and Northern NSW. Because of its attractive foliage and also its ability to tolerate extended period in the rooms, it is also a popular container plant. 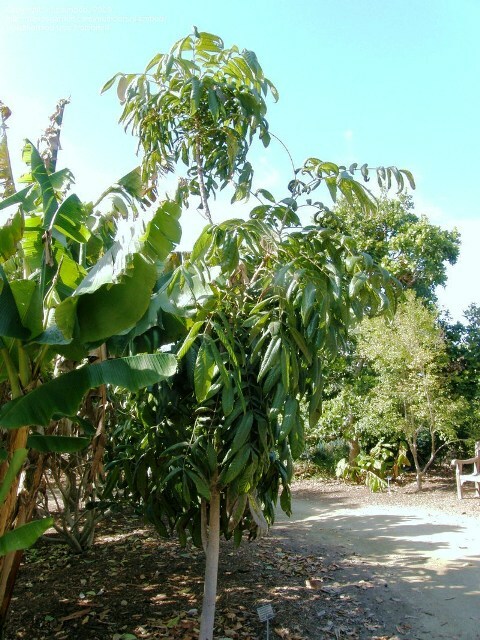 New trees can be raised from seed as well as cuttings. There is another varietry too which has relatively longer fruits.